WHY IT RATES: The global footprint of NYC & Company continues to grow with an expansion in Southeast Asia.—Donald Wood, Breaking News Senior Writer. NYC & Company, New York City’s official destination marketing organization, today announced a new outpost in Singapore to stimulate travel from the Southeast Asia Region—Vietnam, The Philippines, Singapore, Indonesia, Malaysia and Thailand. 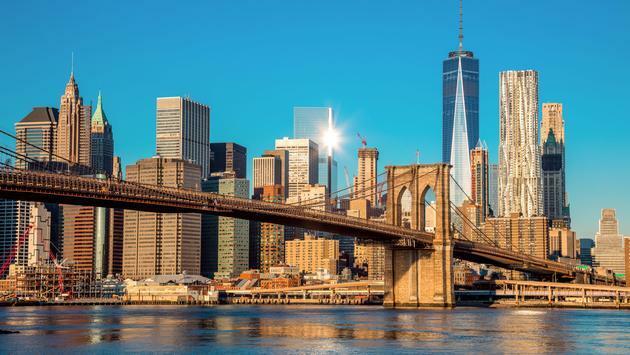 The announcement comes as NYC & Company attends ITB Asia this week, Asia’s leading travel trade show, and as the organization spotlights 2019 as an indispensable year to visit New York City through its “2019 – A Monumental Year” campaign. The announcement was made during IMM Asia by NYC & Company Senior Vice President Global Communications Christopher Heywood, where he was joined by NYC & Company Managing Director, Tourism Market Development, Makiko Matsuda Healy. The opening comes on the heels of Singapore Airlines’ launch last week of the longest non-stop flight in the world between the New York region (Newark Liberty International Airport) and Singapore (Singapore Changi Airport). On Friday, October 19, NYC & Company President and CEO Fred Dixon will formally launch the new office with the trade and media during an event at db Bistro & Oyster Bar in the Marina Bay Sands. “The Southeast Asia region is an important emerging target segment for New York City, representing more than 225,000 visitors each year—through the expansion of our promotional efforts in this region, we look forward to inviting even more travelers to discover the unique beauty and magnetism of the five boroughs,” said Fred Dixon, NYC & Company President and CEO. “2019 will be a monumental year for New York City tourism and we want to invite visitors in the Southeast Asia region to book their travel now to enjoy an extraordinary year defined by new developments and openings as well as iconic big events and cultural activity,” said NYC & Company SVP Global Communications Christopher Heywood. Some of the major new large-scale developments opening in New York City next year include Hudson Yards on Manhattan’s far west side—the largest private real estate development in the history of the United States; The Shed, a multi-arts center dedicated to global displays of visual art, design, media; and Vessel, a climbable urban landmark created by British designer Thomas Heatherwick. 2019 will also see the opening of the new Statue of Liberty Museum, expected to debut next May on Liberty Island and the opening of the TWA Hotel at JFK Airport in Queens. Additionally, the Museum of Modern Art (MoMA) is undergoing a renovation and expansion that will increase gallery space by 30 percent and will enhance public spaces. The first phase of renovations is now complete and the next phase will be completed in summer, 2019. In Spring, 2019, New York City anticipates the opening of the 100-store Empire Outlets, NYC’s first and only outlet destination, on the St. George waterfront in Staten Island. In June, 2019, New York City will also welcome WorldPride, the first time the big event will be held in the United States, with three million expected over the 30-day event (the majority of events will be held June 25–30). Additionally, in 2019, MetLife Stadium will host WWE’s WrestleMania 35 and ABB FIA Formula E Championship will be held in Brooklyn. New York City continues to have most active hotel development pipeline in the country, with 117,500 hotel rooms and an expected inventory of approximately 140,000 hotel rooms by the end of 2021. NYC currently has the highest occupancy rate (88 percent on average) and the highest average daily room rate in the nation. The City has seen 40 consecutive months of increasing room demand, with a record 38 million+ room nights anticipated to be sold before year’s end. Recent hotel openings include The Hoxton, Williamsburg, Mr. C Seaport and the Moxy NYC Downtown. Debuting later this Fall is The Times Square EDITION. NYC & Company’s representative office in the Southeast Asia region will be operated by Singapore-based Xzodus Pte Ltd., under the leadership of Director Ee Lian Lee. Trade relations will be managed by Jacqueline Lee and Press and Communications will be handled by Gemma Koh. In 2017, New York City welcomed approximately 227,000 visitors from Southeast Asia comprising 46,000 from Vietnam; 63,000 from the Philippines; 43,000 from Singapore; 33,000 from Indonesia; 19,000 from Malaysia; and 23,000 from Thailand. Singapore Airlines (SIA) launched the world’s longest commercial flights this month, with non-stop services between Singapore and New York using the new Airbus A350-900ULR (ultra-long-range). The first flight was launched on 11 October 2018, to Newark Liberty International Airport. The route will initially be served three times a week, departing Singapore on Monday, Thursday and Saturday and the aircraft will be configured in a two-class layout, with 67 Business Class seats and 94 Premium Economy Class seats. Daily operations will commence from 18 October after an additional A350-900ULR aircraft. Attending ITB Asia this week as partners of NYC & Company include: Disney on Broadway, Empire State Building, Group Box Office at Broadway.com, New York Hilton Midtown and Wellington Hotel. With the Southeast Asia office opening in Singapore, NYC & Company currently has 17 representative offices serving 28 global regions across five continents.